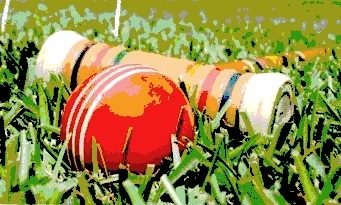 A break is a sequence of shots you can use to score several wickets in one turn. The key is to keep sending balls ahead so you can use them again after you score each wicket. Let's start with the two ball break because it is the most likely opportunity advance your ball. Be carefull not to rely on this break as your only offensive weapon. It will let you down. The simplest kind of break is the two-ball break. After each wicket, you want to rush the object ball to the next wicket. The rush is when you hit another ball so as to drive it to another spot, as though your ball were the cue ball in a game of pool. You will need to use many of the croquet shots like the half and full roll shots and split shots to maintain this break.It is the easiest break to understand, but the most difficult to maintain. When, not if, it falls apart you will be stranded. So think through each shot and have a plan if it fails so as not to leave your opponent a three ball break.